Formed in 1997 under the title of ATL Motors as the sole distributorship for leading car giant Honda, ATL Automotive immediately set the benchmark for automobile sales and service in Jamaica forging a reputation that has grown exponentially ever since. 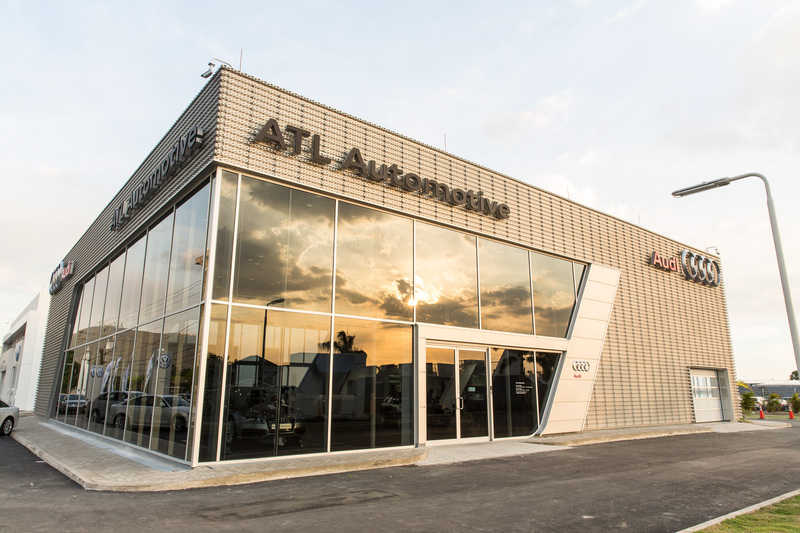 ATL Automotive has strengthened its undisputed position as the country’s foremost automotive group and has changed the face of motoring in Jamaica forever. In September 2010, leading German car brands Audi and Volkswagen were added, and with them the highest standards of renowned German engineering, to the ATL family. From two locations in Kingston and Montego Bay, the company offers new car sales and service on par with anywhere in the entire world. Following a multi-million dollar investment and the introduction of additional world class brands to the family, ATL Automotive exclusively distributes the world’s finest automobile brands Honda, Audi and Volkswagen from state-of-the-art showrooms and service facilities in Kingston and Montego Bay. Believing that two of the main factors to success are invention and innovation, ATL Automotive joined forces with Jamaica’s most preeminent racing car driver, Doug ‘Hollywood’ Gore to create the previously unknown ‘ATL Automotive Racing Team’, vowing to do what everyone said couldn’t be done. The ATL Automotive Racing Team entered the 2011 season using an official Audi Sport TT DTM spec race car, the most technically advanced race car the region has ever seen, and supported by the same ATL Automotive Master Technicians who service its customers’ vehicles from its service centres in Kingston and Montego Bay. Just months later, having broken the Dover track record and recording the fastest lap time ever at the International Race of Champions in Guyana, the same word was on everyone’s lips, a word that has since become synonymous with the entire ATL Group. Unbeatable. In 2013, our country’s capital Kingston welcomed two futuristic new Audi and Volkswagen showrooms; at a level of size and sophistication never seen before. Launched in July 2013, ATL Automotive Certified Pre-Owned Cars is created to offer the finest selection of pre-owned cars in the country. “Certified” distinguishes pre-owned cars sold through ATL Automotive as having passed the company’s thorough 150-point inspection programme and assures that the vehicle meets ATL Automotive's high quality standards. ATL Autobahn, a newly formed subsidiary of ATL Automotive is named Regional Master Dealers for BMW and MINI in Jamaica and nine countries throughout the Caribbean. The regional appointment, a first ever for a Jamaican automotive company, followed a nine-month tender process that saw ATL Automotive overcome international bids from across Europe and the Americas. The partnership sees construction take place to provide state-of-the-art showrooms in Kingston and, for the first time ever, Montego Bay. On March 7th, the 100th anniversary of BMW, ATL Automotive takes direct control of the sales and aftersales of BMW and MINI in Jamaica and in April, assumes a regional management role in an additional nine other countries: Trinidad and Tobago, the Bahamas, Cayman, Curacao, Barbados, Aruba, Saint Lucia, Antigua and Suriname. ATL Automotive sets hearts racing once again after sealing an exclusive partnership to bring the iconic carmaker Porsche, one of the world’s most sought after brands, to Jamaica. For 68 years, the Porsche brand has become legendary for producing some of the world’s finest cars and is a great addition to the ATL Automotive family. This high value, premium brand fits perfectly with the company’s existing Volkswagen Group brands – Audi and Volkswagen – while representing a never-seen-before exclusivity in Jamaica. In November 2016, ATL Automotive Car Rental, a sub-branch of the ATL Automotive Group, was formed to operate as the local franchisee for the largest rental car group – Enterprise Holdings. ; the first in the world for a company to represent the tri-brand under one umbrella: Enterprise Rent-A-Car, National Car Rental and Alamo Rent-A-Car. Operating out of 4 convenient locations in Kingston and Montego Bay, ATL Automotive Car Rental boasts the newest fleet of vehicles in Jamaica. In March 2018, ATL Automotive Group added another world leading brand to its portfolio after it assumed the exclusive distributorship of South Korean global superbrand Kia. Operating under a newly created subdivision, ATL Tiger Automotive, Kia Jamaica offers a full range of world class facilities in Kingston and Montego Bay.